Westborough – If you are looking for customized policies and personal service, Northeast Insurance is the logical choice. Since its opening in Auburn in 1989, the company has grown from eight employees to 48, with five additional locations in Westborough, Needham, Falmouth, Lexington and Provincetown. Despite that growth, Northeast Insurance has retained its family-like environment. 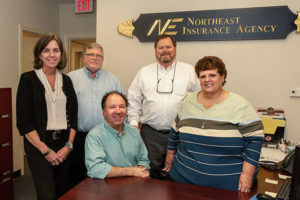 According to Stan Szajna, co-owner and treasurer of Northeast Insurance, the staff and clients are all part of an extended family, which translates into friendly, personal service. The staff of Northeast Insurance evaluates each client on an individual basis, tailoring coverage to their needs. Northeast’s agents are able to help clients “shop around a bit” because of the number of carriers they represent, Szajna noted. 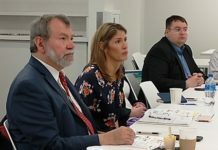 “We have worked with dozens of insurance companies over the past year,” Szajna said, noting that Northeast Insurance utilizes about two dozen carriers, including Mapfre, Travelers and Safety. A popular new incentive for many carriers is offering discounts for combining home and auto coverage. “Carriers are looking for something unique to offer to attract customers,” Szajna explained. For example, the Safety Insurance Company offers a five percent discount on your Massachusetts personal auto insurance premium when you make a $50 donation to Clear Path for Veterans New England. “We analyze each client’s situation to offer the best possible price for the appropriate coverage. Every company has a little different strength and pricing ability. We can evaluate your needs and match them to a company and possibly improve coverage and price,” Szajna said. Northeast provides a comprehensive array of insurance coverage and does not specialize in any one type. “We do a little bit of everything,” Szajna said, including life insurance, auto, homeowners and condos. On the commercial side, they provide coverage for retail and wholesale businesses, contractors, and multi-family units. For homeowners and businesses alike, according to Szajna, winter can bring a host of seasonal challenges – all of which should be covered by standard homeowner’s policies – including ice dams, falling trees and branches, fires caused by Christmas trees or space heaters, and keeping the property and sidewalks clear to avoid liability. The best way to avoid the potential financial consequences of these types of problems is to have the right insurance coverage in place. Just as important, Szanja emphasized, is that the client develop a good relationship with the agent and the insurance company. Many times, clients are contacting their insurance companies at a time of crisis. For more information, visit neinsure.com.